So it would seem that there is a lot more to Swedish cuisine that gravlax and meatballs. In fact Stockholm has become a mecca for fine dining and top chefs who are pushing the boundaries serving creative cuisine all over the city. With six Michelin starred restaurants and two in the world’s top 50, Stockholm has a lot to offer a hungry foodie. 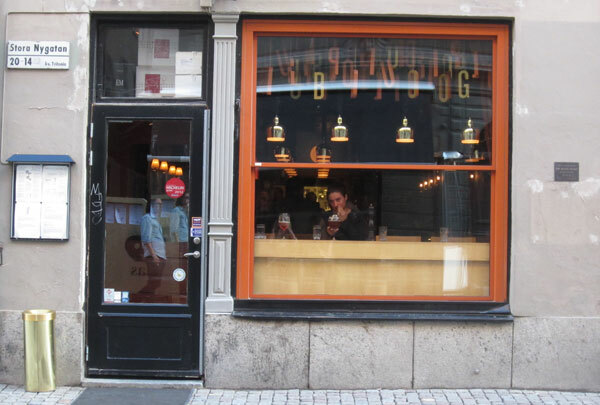 In a cobbled street in Stockholm’s romantic old town, Pubologi is doing something very right. Described as being not a dining room, not a bar and not a traditional pub, but a hybrid of all three. I’m not even sure that it’s that, but it’s very very cool. It’s tiny, making it feel intimate but relaxed with the main seating being around one long communal bar table. Your menu and cutlery are beneath glass display drawers which light up when pulled out. The service is very friendly and personal with nice touches of fine dining. The menu is made up of a selection of small dishes which they advise are half portions so that you can choose 2-3 plates to make up a meal. This is my kind of dining. 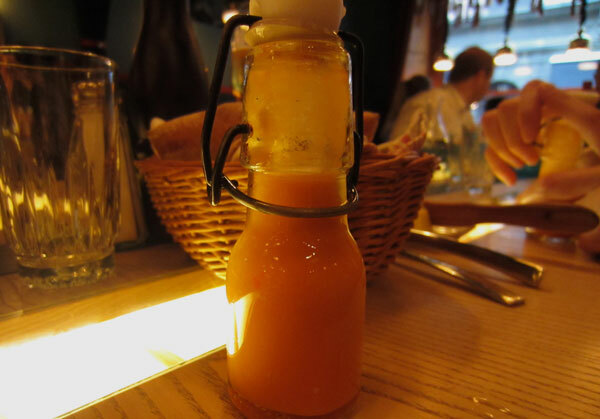 And with a complimentary gazpacho which packed a punch and served in these oh so cute bottles we knew we were in for a treat. 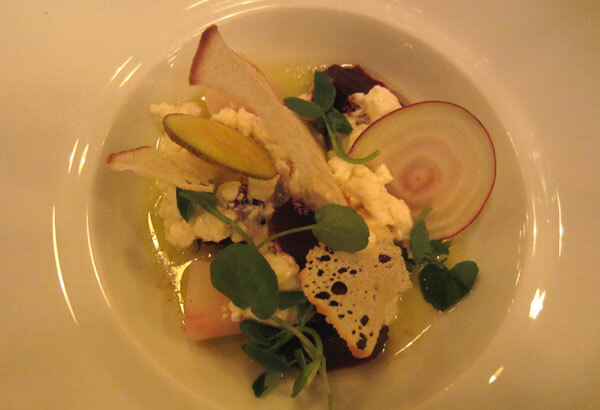 Salt baked beets and pickled yellow beets served with creamy soft goats cheese was simple and sublime. White asparagus with slow cooked pork belly melted in your mouth and with smoked mayonnaise and crispy fried baby onions it was all over too soon. 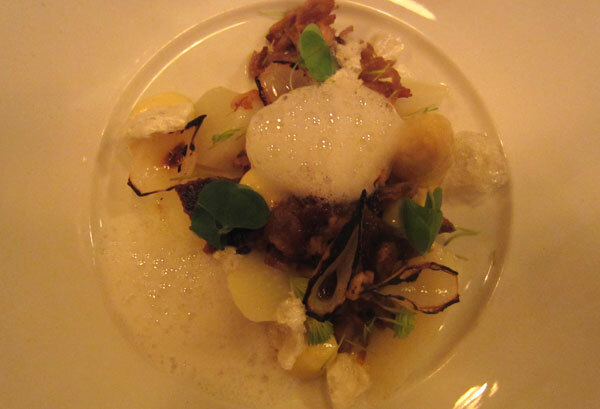 I’m not really one for culinary foams and I think this dish was gorgeous enough without the added bubbles. 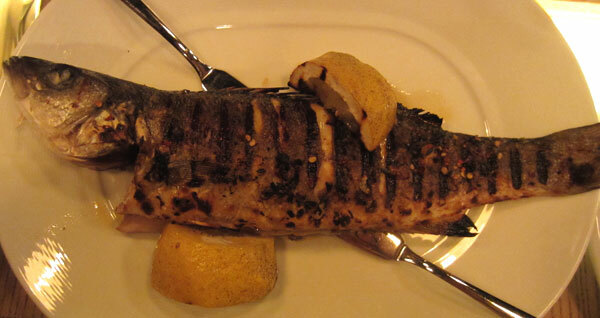 A whole grilled seabass was fragrant with thyme, garlic and chilli. The flesh fell away from the bone and was super juicy. Served with accompaniments of crisp fennel, roasted garlic mayonnaise and a seriously salty salsa of tomatoes, anchovies and capers. This dish counts as two plates and is perfect to share. Hello the perfect hamburger. 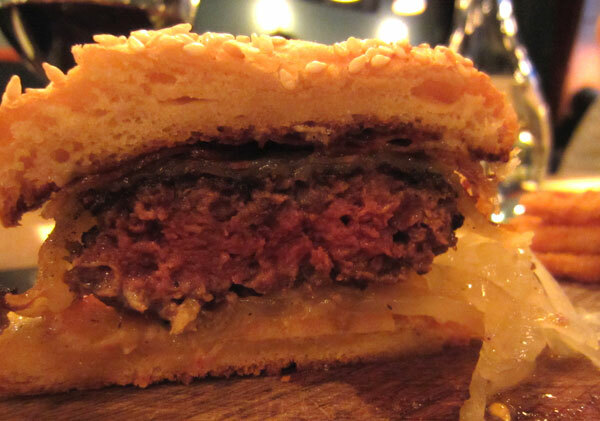 A pink burger of coarse minced dry aged chuck steak is between a sweet sesame seed brioche bun. With a slice of Iberico streaky bacon and melted manchego cheese you will be licking your fingers clean. Served with a side of crisp onion rings and a truffle emulsion, this is how a burger should be. And it’s only small, so totally guilt free. With each plate being half portions you will definitely have room for dessert. Okay so I always have room for dessert and especially when there is rhubarb on the menu! 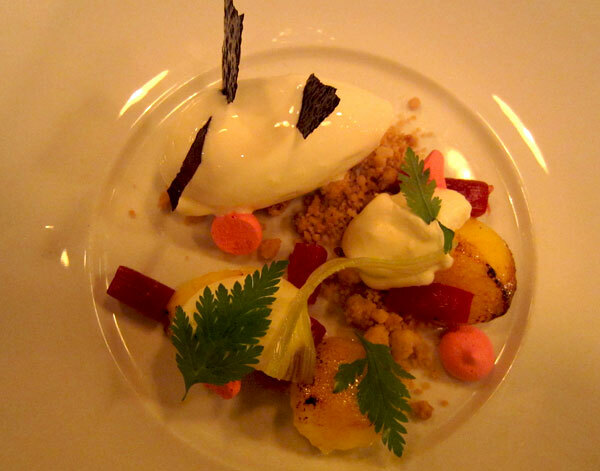 This was more like a work of art, rhubarb baked in Sambuca with tart lemon curd, yoghurt sorbet, cookie crumbles and sweetened garlic wafers. There was a lot going on but it worked so well. There are only two choices for dessert so my disclaimer is that we had try both in the name of this review. And how can you pass up a chocolate with caramelized nut mix, lightly salted caramel ice cream, caramelized butter all covered in a frothy milky foam served in a jar. It was sickly sweet but oh so good. I strongly suggest sharing. If the sensational food at Pubologi isn’t enough the room is also a walk in cellar with the length of two walls lined with a huge selection of wine. At your leisure you can peruse the bottles which range from £10-£500. 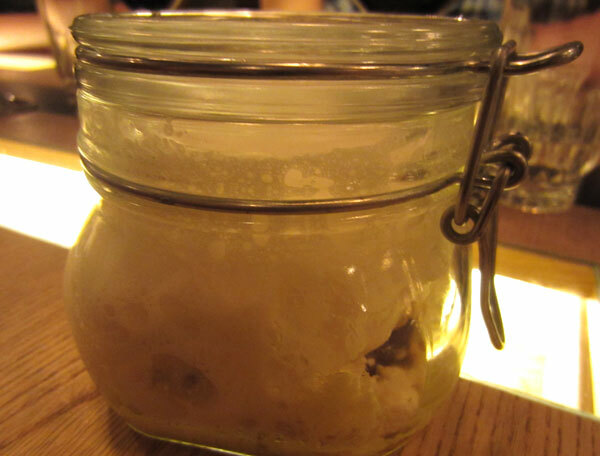 Pubologi picked up a very well deserved Bib Gourmand in this years Michelin Guide. The setting is intimate, the service perfect and the food, well you will want to order one of everything. Which is exactly what I am going to do when I return to experience the Menu Todo. The 10 course degustation where you get everything!